BRANDON, MB – Educators from school divisions across western Manitoba are converging at Brandon University (BU), for two-day workshop on new ways to help early years students with literacy in language, multi-media and numbers. Dr. Cam Symons, BU Faculty of Education and one of the conference organizers, says participants will learn how to develop a more inclusive approach that engages all children, especially those challenged by current teaching techniques. “We will explore frameworks and models which help students to think deeply about words and numbers, and better communicate their thoughts, feelings, and solutions,” says Dr. Symons. 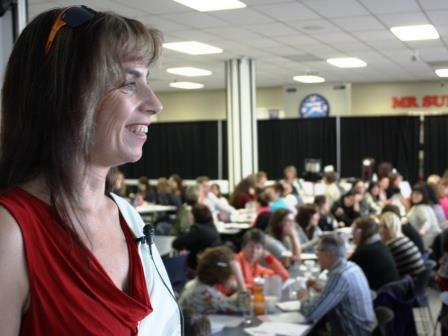 Nationally-known education consultant Dr. Jennifer Katz, Faculty of Education at the University of Manitoba and founder of the Manitoba Alliance for Universal Design for Learning (MAUDEL), will be chief facilitator. She is the author of “Teaching to Diversity: The Three Block Model of Universal Design for Learning”, and has worked as an advocate of inclusive education in several provinces and territories. “The Faculty of Education is pleased to support this important initiative aimed at enhancing educational opportunities and outcomes across Manitoba,” says Dr. Heather Duncan, Dean of the Faculty.